Blogging is not just for bloggers but it’s for businesses as well. Every online business whether it’s a services company, retailer, manufacturer or wholesaler should maintain an active blog. The reasons are a lot and below I will try to explain why every business needs a blog, what to expect from it and how to do it correctly so that you won’t lose your money and time. Why you need to have a blog? Content freshness – One of the most important reasons as to why you should run a blog on your business website is content freshness. A blog will help you publish fresh content and provide another incentive for search engines and people to come back and check out what’s new. Content on a business website is usually static. You have pages about your products and services, you have your contact us and about page and pretty much that’s the type of content you have on most business websites. A blog will contribute in keeping the site active and also increase the number of pages a website has, something that will gradually generate more benefits in the long run. Fresh content is also good for SEO and particularly one of the most effective practices for google SEO. Better internal linking – I have talked extensively about the importance of internal linking and a blog is the best way to do it naturally. Through your blog posts you can highlight and pinpoint the most important pages of your website and ‘assist’ both users and search engine crawlers find them easier. Cross selling and up selling – Through a blog you can create new needs for your existing customers and sell them more products (cross selling) or convince them to buy your most expensive products (up selling). For example let’s say you are selling different types of wireless mouse, a well prepared blog post about the benefits of having a wireless mouse and the advantages of a particular type can help new customers realise that they should get a wireless mouse and not wired and that spending $20 more to buy the particular type is worth it. Customer service – A blog is another form of communication between you (the company) and its customers. You can use it to answer customer questions, educate them about your services and give them another way to contact and interact with you via blog comments. Demonstrate your expertise – The most valuable asset of any company are the human resources and the expertise and experience they have about their business. A blog can help a company demonstrate their areas of expertise to the outside World. You can use the blog to pass more messages to your audience than an advertisement and you can do it for free and any time you want. For social media – In order to succeed with social media you need to share good quality content on a regular basis and a company blog can be one of your best sources. The combination of content marketing with a solid social media strategy is what differentiates successful online businesses from businesses that strive to survive online. You can also read 5 online marketing strategies for small businesses that work for more information on how small businesses can take advantage of online marketing strategies. Announce new products and special offers – Besides enhancing customer service a blog is another way to say thank you to your customers by giving them special offers and announcing new product launches. You can use the blog to publish exclusive information about your new products or services, find beta users depending on the niche etc. Get Customer feedback – You can use the blog as the medium to run polls or questionnaires to get direct feedback from your customers. Remember to always give incentives to people to fill in a questionnaire or poll otherwise the participation levels will be low. Get more traffic – I left this one for last but one of the reasons you should run a blog is to get more traffic to your business website. If you run the blog correctly (as we will see in more details below) it can become one of your major sources of traffic. A business blog is not the same as a normal blog where a blogger writes about a subject he/she is passionate about. Business blogs are more difficult to gain loyal followers especially if readers are not customers or interested to become customers of the company. That’s why it is more important to do it correctly. You don’t need to have good content – That’s correct, you don’t need to have good content on your business blog but you need to have great content! Your business blog is a mirror of your business experience and expertise and this should be reflected in the published content. Anyone reading your articles should be one step closer to become a customer otherwise your better stop thinking of having a blog altogether. A common mistake I see in many businesses is maintaining a blog for the sake of having a blog and they only publish mediocre content they buy from content writers. The result is a waste of time, money and for some cases a negative impact on their brand, services or products. It’s an investment – Consider your business blog as a long term investment instead of a short term tool. As with any other investment you need to be patient and follow a specific plan with measurable targets in order for your investment to be effective. Don’t look for cheap ways to publish content but look on how your published content can really make a difference. A good blog needs to have a face – A blog needs to have a face. Readers should know who is behind the blog, what is their background and expertise and how to connect with them. Have employees contribute – Instead of buying content why not have all the employees of the company contribute to the company blog. Create a policy that all employees should contribute once a month in the blog by creating relevant content related to your products or services. Maybe this is a new project they are working on or their experience so far with customer support… A brain storming session during the next staff meeting can do wonders in this area. Implement Google authorship – This is strongly related with the note made above about the need to show a face in your blog. Good company blogs should take it a step further where all contributors to the blog have a verified Google+ profile. 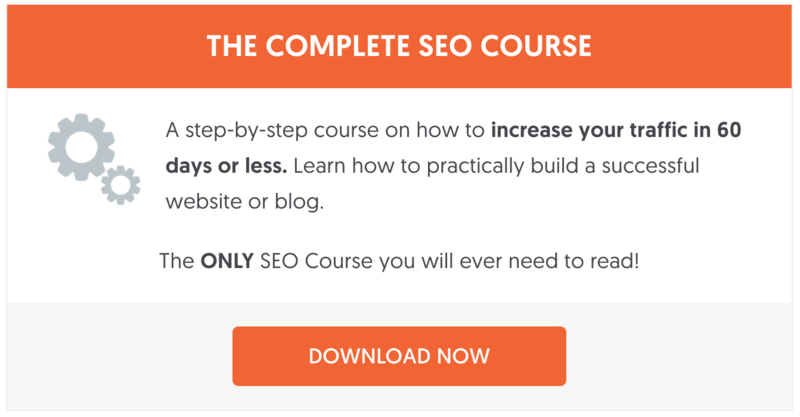 This will not only help your SEO efforts but it will increase traffic and social mentions. Need to have a newsletter – A blog and newsletter are two strongly related concepts. Email marketing has a lot to offer to businesses and a blog is a fantastic way to grow your email list naturally. A nice way to stay in touch with your users is to send out a newsletter every time you update your blog. There are many services like mailchimp or feedburner that can help you automate this task. Make sure you reply to comments – I mentioned above that a blog is a good way to communicate with your customers and this means that you should reply to each and every comment made on your posts. Show your readers that you care about what they say and that you actually respond to their requests. Finally make sure that you do not publish spam comments for the sake of increasing your comment count but only concentrate on what has value for your readers. 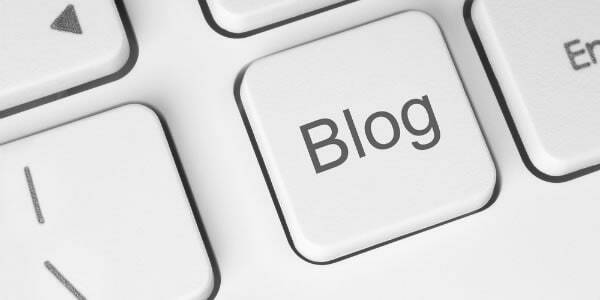 A blog is a very useful tool for every business. The biggest mistake that most companies make is running a blog without having a content strategy or without having specific measurable targets for the blog. They only have a blog because it’s good to have one or because their web designers told them that they need to have a blog option in their website. Although you can employ many of the ingredients of having a successful blog and use them on your business blog, what you should concentrate more is having a steady increase in followers, loyal readers and user interaction rather than just plain increase in rankings and traffic. Contact us today to help you design your business blog strategy and make another step to bypass your online competitors. 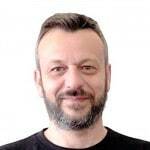 The company blog can provide general advice about glass i.e. cleaning, maintenance, removing scratches etc. Try to think topics that would provide value to someone even if it is not directly related to the business. Great post Alex! Yes, it is crucial for every business no matter what niche they are to have a blog. If your business doesn’t have a blog, I guarantee someone else locally that sells the same thing you do has a blog, and they are benefiting from all that natural organic traffic which blogs give you. And eventually that organic traffic turns into conversions which generates more sales.